New product from Garmin | Avionics Blog – Avionics to the Max! The new GTR 200 panel mount comm radio is here! Built and designed for experimental and light sport aircraft, this radio offers powerful features, including auto-squelch, 3D audio, stereointercom, stereo music input, alert inputs, standby frequency monitoring, on-screen frequency identification and more. The GTR 200 has advanced integration and capabilities to Garmin portables and with the Garmin G3X glass flight display. The GTR 200 is able to receive a frequency and identifier in the comm’s standby position directly from the G3X’s waypoint page, allowing the pilot to ensure accurate transfer and reduce work load, is also can display the airport identifier and type on the GTR 200 like “KOSH ATIS” should the pilot manually tune the frequency, and can constantly stream the flight plan and nearest airports to the GTR 200 for quick access ad retrieval of any airport frequency with a single push of the knob. The GTR 200 is easy, intuitive, readable display, and built in shortcuts. 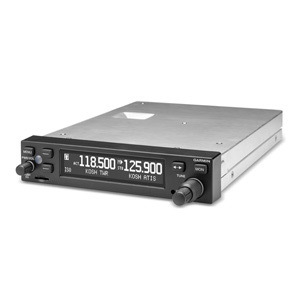 The GTR 200 stores 20 pilot defined frequencies as well as 20 most recent frequencies for easy retrieval. Call our sales department for more details! This entry was posted in Avionics News and tagged autopilot systems, efis, garmin, Garmin portables, GTR 200, inventory VHF radio, New Comm Radio, tcas. Bookmark the permalink.